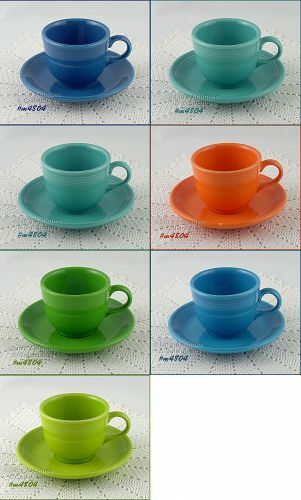 I’m listing these 7 cups and saucers in one listing priced per set – your choice! Just let me know which color you would like to purchase. 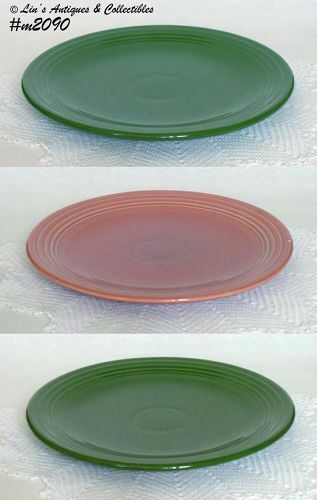 All are in excellent condition – the orange saucer has a couple production non-color dots on edge. These are production. 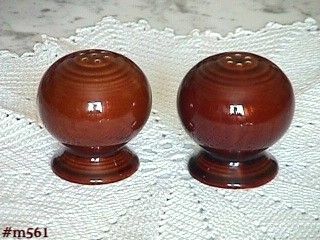 Neat Fiesta items in this listing! 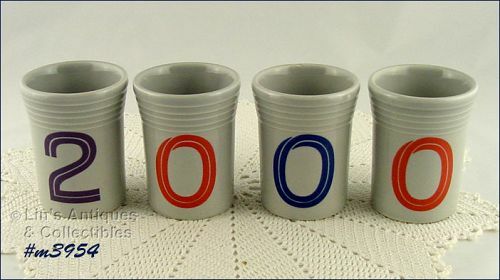 There are 4 juice glasses issued to commemorate the year 2000! 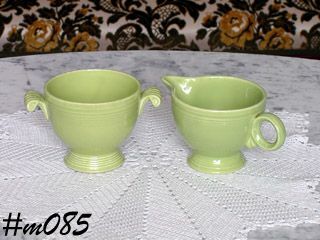 Glasses are light gray color, measure 3 ¾” tall, and bottoms are stamped/marked Fiesta. 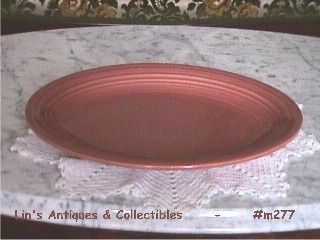 They are in excellent condition with no evidence of “use” – one has a production (under glaze) dark dot – that’s it! Very nice collectibles.